No matter how much Microsoft wants Adam Mulally to takeover as CEO, Ford’s Board Director Edsel Ford II has come out stating that Mulally is happy working at the car manufacturer and that he will not be leaving his current position anytime soon. Though Edsel confirmed that Mulally would not be leaving Ford this year, he did note that he only knows the CEO’s plans up until the end of 2014. Even if Mulally were to lose interest in Ford next year, Microsoft needs a CEO in early 2014 and simply cannot wait around, even if Mulally is the company’s favorite candidate. Microsoft and its shareholders had been so interested in Ford’s CEO that Edsel’s statement pushed Microsoft’s market cap down by $12 billion and also resulted in a 3.5% share value decrease. 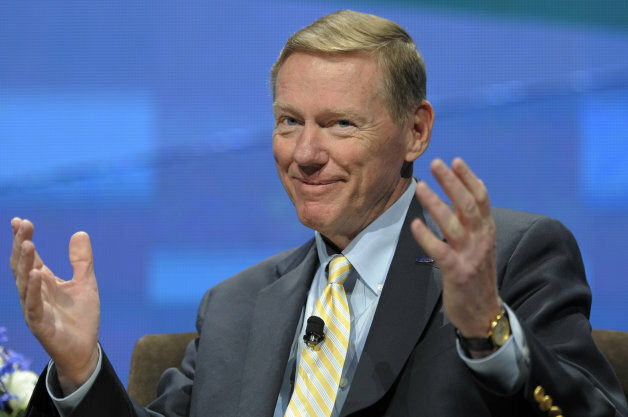 So who will lead Microsoft if Mulally is sticking with Ford? Reports from just a few weeks ago suggested that outside of Ford’s CEO, Microsoft’s Satya Nadella was the other top candidate, with Stephen Elop still in the top four. Nadella is the only internal candidate and as such, he makes quite a lot of sense since picking someone with experience inside of Microsoft may work out better than hiring someone from another company. Nadella is currently the head of Microsoft’s cloud division and many analysts say that he could easily become the CEO of the tech giant now that Steve Ballmer is one his way out. As good as Nadella may be, Mulally’s experience in turning around a multi-billion dollar company would have come in handy considering Microsoft’s current financial situation. Without any help from the government, Ford was able to turn itself around as Mulally not only laid out a new business strategy but also reinvigorated the company’s employees, something that Microsoft also needs. Microsoft hopes to have a final candidate by the end of this year but with at least two potential CEO’s, the company may have to hold out until early 2014 before making anything official.